Auf der Suche nach luftig, sonntags morgens Für unstrukturierte, nachträgliche Nachmittage? Kommen Sie zu unserem ruhigen Rückzug ... wo Einfachheit ist ein Stil für sich selbst, wo Komfort ist alles, und alles ist einfach schön! Unser charmantes Strandhotel liegt an einer ruhigen Privatstraße in der ruhigen Küstengemeinde von Ormond am Meer und ist eingerichtet, um alle Ihre Bedürfnisse für totale Entspannung zu erfüllen. Kommen Sie Erfahrung Loggerhead Schildkröten nisten Jahr für Jahr, genießen Sie atemberaubende Ausblicke auf Space Shuttle startet, oder einfach nur entspannen auf unserem ruhigen und schönen Strand! Alles was man braucht, ist von Stühlen und Sonnenschirmen zu Handtüchern und Strandspielzeug ... alles was man braucht, ist dein Badeanzug! Auf der Suche nach Aktivitäten? Verbringen Sie einen Tag oder zwei Golfen, Angeln oder Segeln! Interessiert an Rennen? Daytona Beach und die internationale Speedway sind nur fünf Meilen entfernt! Essen in oder out ist einfach mit einem lokalen Lebensmittelgeschäft, Donut-Shop, kleine Geschäfte und malerische Restaurants nur einen kurzen Spaziergang entfernt. Unsere Küche ist voll möbliert für jedes kulinarische Erlebnis ... von Papier und Kunststoff bis hin zu Kristall und Kerzen! Ob Sie unseren Speisesaal mit einem wunderschönen Panoramafenster mit Blick auf den Ozean, unsere Ozean-Veranda für eine Bar im Freien oder den Strand selbst wählen, wird Ihre Mahlzeit durch unberührten Meerblick und Klänge verstärkt. Als der Tag endet, genießen Sie einen schönen Sonnenuntergang zu Fuß am Strand, oder ein Getränk Ozean Seite. Daytona Nachtleben bietet alle Arten von Unterhaltung, oder wenn Sie in der Stimmung für etwas Ruhe sind, ziehen Sie einfach einen Film aus unserem gelagerten Schrank, füllen Sie einige Federkissen, packen Sie eine Steppdecke und setzen Sie sich für einen entspannenden Abend. Nachts Ende, lassen Sie den Rhythmus der Ozeanwellen Sie zu einem friedlichen Schlaf schlafen! Wir bieten Ihnen wirklich den perfekten Urlaubsaufenthalt. Ungefüllt Unberührt Unvergesslich !!! Von $ 900 / Wo. Längere Aufenthalte qualifizieren sich für Rabatte. Preise variieren mit der Zeit des Jahres. I have been around vacation rentals a bit. This one was the best - by far. The beach is so, so close, even my 92 year old dad could get there! Each morning, opening the shades and seeing the beautiful ocean was just heavenly. Trish told me the cottage was like coming home, and it truly was. Everything you need is there waiting for you. Tons of cookware and dishes; spices; condiments in the fridge; washer/dryer and laundry soap; beach essentials; plenty of towels. The kitchen is great. 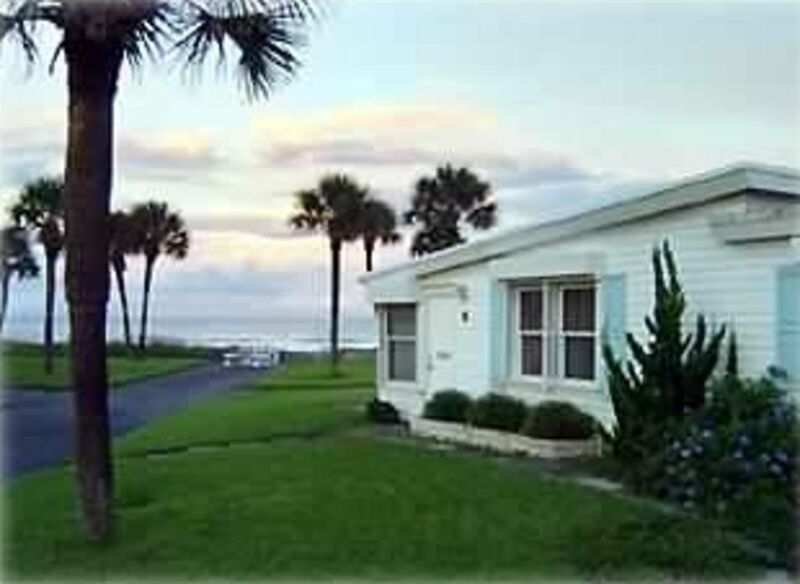 Location is perfect for running up to Flagler or down to Daytona. We did a day trip to Cape Canaveral and St. Augustine. Lots and lots of local eateries with great seafood. State parks are close. I am so glad to have found this spot and grateful to be back next year. You will not be sorry to go with this rental. Promise. The beach, sun and ocean made our stay just perfect! killed large roaches in kitchen. Picked up dead bugs in bathroom. washed sheets because there was black hairs and sand on the sheets. stood in shower floor scum to shower. were supplied with only 5 towels for a week. The front storm door opened half way. It was broken. The back door was duck taped and peeling off. The flooring was rotting with pieces of the laminate missing. We were told it was hurricane damage not yet repaired AFTER we paid. The dining room blinds were rusty. The kitchen shade has to sit on the window lock to stay up...shade locking mechanism didn’t work. This place needs repair and some TLC. We thought oceanfront would mean an unobstructed view of the ocean. There is a house blocking the ocean view. Tables dusty enough we could write in it. The coffee pot warmer was caked with coffee grounds, dusty and dirty. Enjoyed the beach and the neighbors...only reason I would recommend you stay here. Only rated this place a one because rating is required. One star seems excessively high. I am so sorry to hear you were disappointed with your stay. I wish these concerns would have been brought to our attention so they could have been addressed immediately. Please know the cottage is sprayed regularly for bugs and unfortunately this does result in dead bugs from time to time. (Additional towels are stocked in the drawers in both the bathroom and familyroom.). I would have liked to have followed up with our cleaner on the other issues you mentioned as this does not meet the standard of excellence we strive to give each of our guests, nor are they things we’ve ever experienced before with our cleaners and certainly are not acceptable. If you would like to reach out to us, we would be happy to reimburse the cleaning fee. Again, we are sorry you were disappointed. We look forward to booking a stay here again! My family of 6 needed a quiet reprieve from our very chaotic and intense daily life. This cottage allowed us to slow down and breath. The home was immaculate and provided everything we needed. The little touches like make up remover wipes at the sink were a great touch, especially with two teenage daughters. My family enjoyed the beach just steps from the cottage, but also visited Ponce Inlet which was a short drive past Daytona. My children enjoyed climbing the 203 steps to reach the top of the light house. One night my family went across the A1a and enjoyed a great ice cream shop after my husband had grilled out at the cottage. My family went home with no dirty clothes since there was a washer and dryer. I didn't waste money on a boogie board that wouldn't be used a day after the vacation because there were a couple that my children could use in the garage. My young son was thrilled to find a closet supplied with toys. My son also appreciated the books that were available for bedtime reading. We have already discussed scheduling next year's trip. I am so thankful that we were able to find this cottage. Thank you Trish for allowing my family to catch their breath, refresh, and regroup in your beautiful cottage. Thank you, Kim, for allowing us the privilege of hosting your family! You experienced the beauty and tranquility of the beach the way we hope everyone will! We are so glad you went home rejuvenated and refreshed, and we look forward to having you back next year! We had a wonderful month long stay at the beautiful cottage overlooking the sea. We are very much looking forward to another month stay next year. The pictures don’t do it justice, the house, view and neighbors are super, great location. The stay was great and Trish and Ed communicated with us very well. The house was more than we expected and our dog loved the area. The beach was a little a little rough from hurricane but you still have plenty of walking room. We loved the location to everything and neighbors were super great. This was the 25th year for Biketoberfest and this stay was even better than than the hotel we was to stay but because of hurricane that did damage to our cottage we were able to find this house. We will contact Trish again the next time we come to Daytona Beach. Thanks again. Well-behaved pets are welcome with their owners; however, please note that pet droppings are to be scooped out of our yard as well as the fact that the beach is not pet friendly. There is a large and lovely dog park approximately one mile north of the cottage on A1A at Bicentennial Park.